As reported on the web site of the Assembly of Canonical Orthodox Bishops of North and Central America, a number of meetings were conducted at the end of January 2012. Members of the Assembly’s Secretariat held their annual “face-to-face” meeting at Saint Andrew Church, Riverside, CA, January 24-25. An overview of the work accomplished at the meeting will be included in a forthcoming Assembly media release, which will report to the Church-at-large on the work of the Assembly during 2011. The Secretariat, which also meets monthly via teleconference, consists of His Grace, Bishop Basil, Antiochian Orthodox Archdiocese of North America, Assembly secretary; His Eminence, Archbishop Antony, Ukrainian Orthodox Church of the USA; His Grace, Bishop Andonios, Greek Orthodox Archdiocese of America; His Grace, Bishop Maxim, Serbian Orthodox Church in North and South America; Fathers Mark Arey, Nicholas Ceko and Josiah Trenham; Hierodeacon Benedict (Armitage); Protodeacon Peter Danilchick; and Messrs. Alexei Krindatch, Alex Machaskee, Eric Namee, and Constantin Ursache. Concurrently, the Assembly’s Committee for Youth held its semi-annual meeting January 24-25 at the Antiochian Village Heritage and Learning Center, Bolivar, PA, on the eve of the annual pan-Orthodox Camp and Youth Worker Conference. Committee members in attendance included His Grace, Bishop Thomas, Antiochian Orthodox Christian Archdiocese of North America, chair; His Eminence, Metropolitan Alexios, Greek Orthodox Metropolis of Atlanta; and His Grace, Bishop Irineu, Orthodox Church in America Romanian Orthodox Episcopate; Father Joseph Purpura, facilitator; Deacon Mark O’Dell, secretary; and Mr. Constantin Ursache, liaison to the Secretariat. Deacon Alexander Cadman, who represented the OCA at the meeting, was among 22 youth leaders in attendance, who presented a number of recommendations. An overview of the work accomplished at the meeting also will be included in the aforementioned Assembly media release, which will report to the Church-at-large on the work of the Assembly during 2011. Finally, the Assembly’s Committee on Canonical Regional Planning met at the headquarters of the Romanian Orthodox Archdiocese in the Americas [Romanian Patriarchate], Chicago, IL, on Friday, January 27. Hosting the meeting was His Eminence, Archbishop Nicolae, who also chairs the committee. Committee members in attendance also included His Eminence, Archbishop Justinian, Russian Orthodox Church in the USA; His Beatitude, Metropolitan Jonah, Orthodox Church in America; and His Grace, Bishop Demetrios, who represented His Eminence, Metropolitan Iakovos of the Greek Orthodox Metropolis of Chicago. Committee consultants who participated included Fathers Nicholas Apostola and Joseph Abud; Protodeacon Peter Danilchick; and Messrs. Jerry Dimitriou, Demetrios Moschos, Steve Radokovich, and Alexei Krindatch. Also present by invitation were Father Mark Arey and Hieromonk Savvaty, interpreter to Archbishop Justinian. Committee members reviewed and recommended changes to the existing “Terms of Reference for Canonical Regional Planning,” reviewed the extensive statistical and demographic work performed by Mr. Krindatch; and discussed other ecclesiastical and planning issues. Three subcommittees were established, each headed by a hierarch and including two or three consultants, to “develop a draft global vision and principles for a united church administration, list the present canonical and liturgical issues impacting the common life of the Church, and document the various ecclesiastical and governance structures of the member churches in the USA.” These efforts will be undertaken in cooperation with other Assembly committees, with initial results to be reviewed by the entire committee in early April 2012. 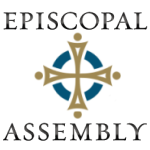 Detailed accounts of each meeting and related news may be found on the Assembly web site.